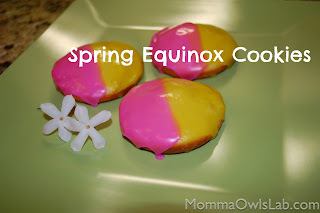 but a hopeful, very possible sort of brown,..."
I also wanted to share a fun treat that you can make with your kids to celebrate spring: Spring Equinox Cookies! "Momma, do you know why George Washington is one of the best presidents?" This was from my eldest one after I picked her up from school a few weeks ago. With several accolades flying through my head - 1st president, Revolutionary War general, honest chopper of cherry trees - I let her continue her thought uninterrupted. "Because he gave us a day off school." Well, there is that, too. A highlight of President's weekend for our family each year is the Great Backyard Bird Count, a joint project of the Cornell University Lab of Ornithology and the Audubon Society. 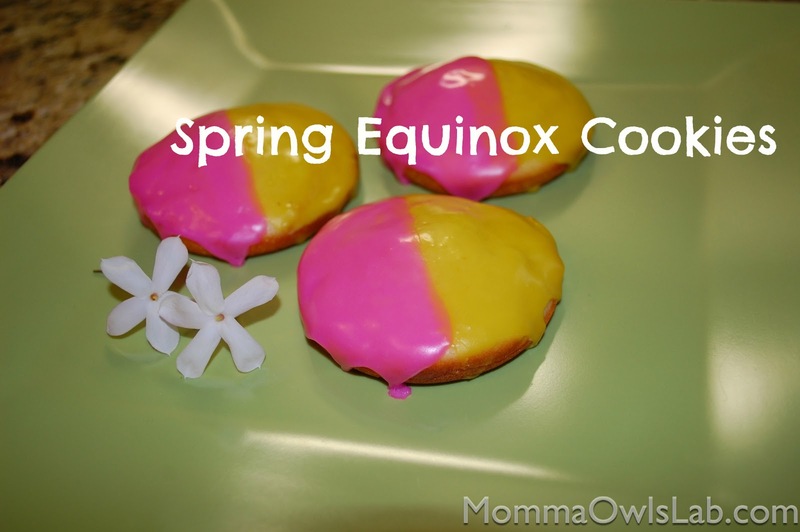 It's a great example of an accessible citizen science project that can be done with kids. For at least 15 minutes during the long weekend, contributors are asked to count the number of each type of bird they observe and submit it online at the GBBC website. As the name indicates, many people conduct the count in their backyards, although others may do it at local parks or other public spaces.